At a meeting with Deputy Prime Ministers, Chairman of the Russian Government Dmitry Medvedev, restated the commitment to promote ‘new’ energy again. According to Medvedev, “without due attention to the ‘new’ energy we will be hostages of the existing hydrocarbon model.” It is hard to argue with this, but it is not just outside circumstances but also ‘inner’ strife of market participants that hinder the promotion of the energy alternative in Russia. Russia’s way to adopting a strategy of renewable energy source development is not easy. 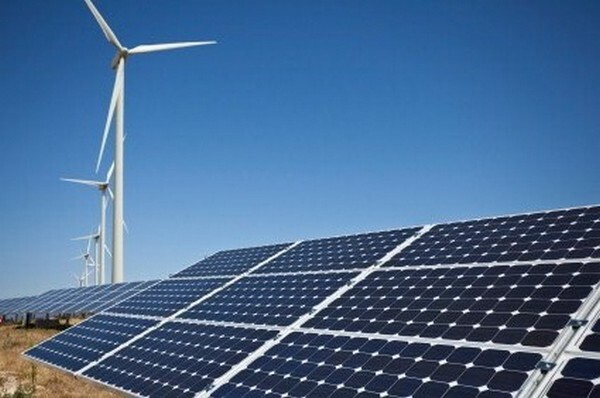 Power market participants have criticized the new scenario for alternative energy, and official authorities recalled the document for amendments. The draft documents establishing a system for renewable energy (REE) support were published in November 2012. According to Deputy Prime Minister Arkady Dvorkovich, the planned amount of REE commissioning has changed significantly in the latest versions as compared to the initial draft, from 11 GW down to 6 GW in 2020. Of that amount, 3.5 GW will be wind energy, 1.5 GW, solar generation, and 0.7 GW, small hydropower plants. The projects that deserve support will be selected at competitions. Winner of such tenders for the right to make contracts shall be candidates who offer minimum capital expenses per 1 kW of installed capacity. ”One of the requirements for a tender for power plant construction will be localization of equipment that will be made for such plants. This is very important, because what we want is not to spread the extra costs on the entire market but rather to get an industry development effect. This is why there is a requirement that equipment must be purchased here and not abroad, new jobs, etc.”, explained Alexandr Novak, Deputy Minister of Natural Resources of the Russian Federation. In fact, the requirements to a mandatory share of localized equipment, which will be made for REE plants, are the reason why the document was recalled for amendments. Some participants of the power sector are also unhappy with the localization percentage. According to Yevgeny Konygin, Executive Director of the Energy Efficiency and Renewable Energy Workgroup of the Russian Union of Industrialists and Entrepreneurs, one should not hurry and set ceilings that are too high and advantageous for a few companies only but can choke the industry to death, as this will be “just another attempt to invent the bicycle.” “While we will be doing out best to build the most state-of-the-art plants, they will become obsolete after a few years, and as a result the Russian wind energy sector will be inefficient on the global market. It would be better to develop the industry step by step involving both the international experience and local production,” he said in an interview to Kommersant. Other market participants wrote to Prime Minister Medvedev asking him not to sign the set of REE support measures without more analysis. Energy consumers and producers have drawn the authorities’ attention to large-scale investment costs of commissioning new generation capacities, which participants of the wholesale market are already paying. They believe that adoption of the new document will cause a critical increase of costs and prices of electric power in the country. The businessmen fear that by 2020, payment for REE development will increase the capacity price by 85 billion rubles and together with traditional investment projects it will put more pressure on consumers and weaken the position of heat generation. Some experts even think that REE use should not be a priority for the whole country but rather just for the regions where such generation is more efficient in comparison with traditional energy sources. REE supporters argue that state support has already been cut by half, rates of return have been decreased, and requirements to projects are so high that only a minimum amount of capacities can be commissioned. According to the experts, capacity increase mainly concerns regions of the Far East and North and South Russia. Due to the fact that tenders will be held, it is expected that the initial declared capital investments and operation costs will be cut down, and there will be real competition and, as a result, lower prices for consumers. It is expected that the first REE tender must take place already this year. At present, only 1% of energy in Russia is produced from renewable sources. In the recent years, there has been no significant capacity increase; the rates of REE development in the Russian Federation are much lower than the planned numbers. Meanwhile, the draft documents on REE development are undergoing long approvals and amendments.